Hi! 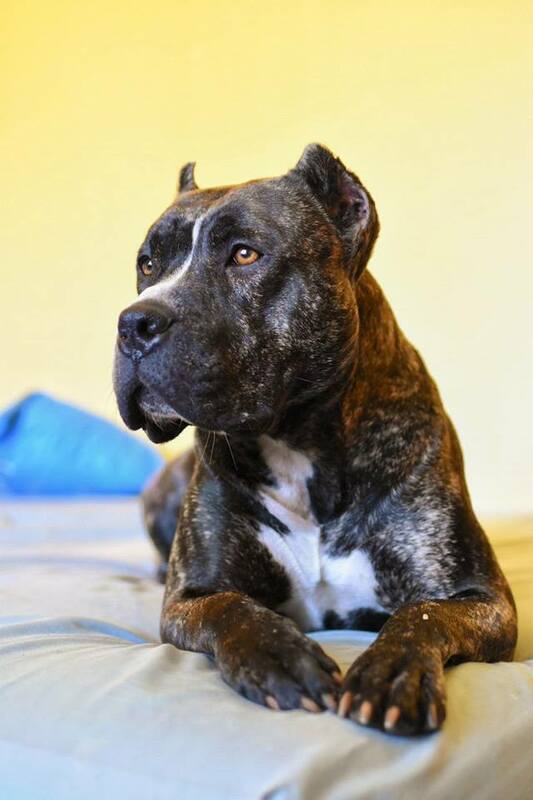 My name is Marlee, and I'm a 4 year old (approximately) pit bull terrier and Cane Corso Mastiff mix. My sister, Carlee, and I were found in pretty bad shape: starved, over-bred, and left tied to a pole in the rain on the streets of Riverside. Animal Control picked us up and took us to a scary place called a shelter. We waited for two weeks hoping to be adopted out, but nobody came for us. More animals than there were space for ended up at the shelter, and one day our time was up. Luckily, a non-profit that matches dogs in high-kill shelters with approved foster homes, Foster Me, networked us and found a temporary foster, and Chews Life Dog Rescue to back us. Our foster mom arrived on our "due out" date 5 minutes before the shelter closed, and life has been great ever since. The only thing that would make it better would be finding my forever home. Here's what my foster mom has to say about me: Marlee is a wonderful dog with an abundance of love to give. She is crate trained, but loves going on walks/hikes with her people. She is 60 pounds, but would be a lap dog if you let her. Marlee needs a slow introduction to people, and may take time to warm up to them. She's insecure about the world, but becoming more confident each day. She would do best in a home with someone who is willing to help her work through these insecurities, and give her the time to open up on her own. 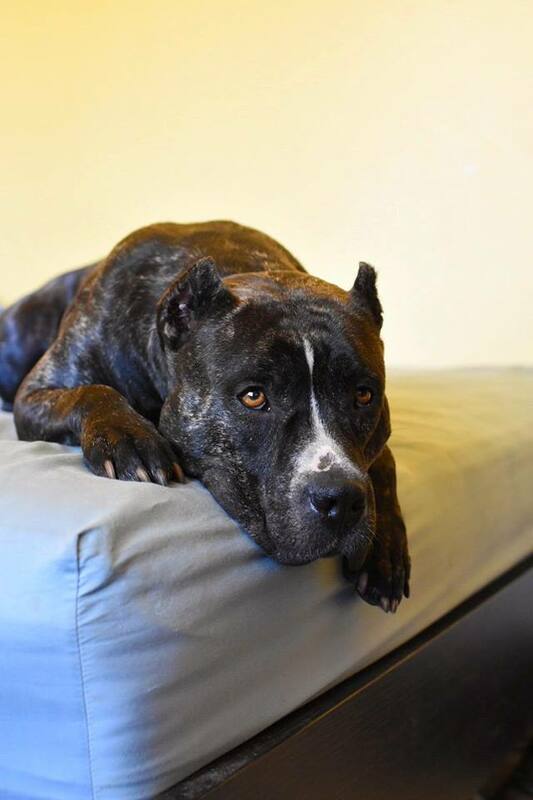 She may do well around other dogs, but needs a slow introduction, and a savvy dog owner.